Mike Tyson, the undisputed heavyweight champion, known for his intimidating boxing style as well as his controversial behavior. In 1997, he made headlines for biting Evander Holyfield’s ear during a rematch. Clark transforms his image in his Iconoclast series. 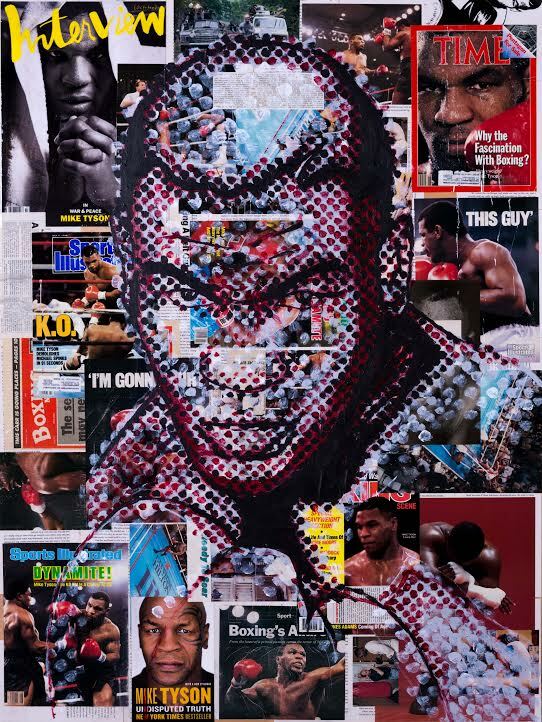 Mike Tyson by Gillean Clark is now for sale at Guy Hepner.